I’ve been asked about the managing of test configurations. In the sample below I have two test configurations set up as I add test cases they are automatically assigned both test configurations. 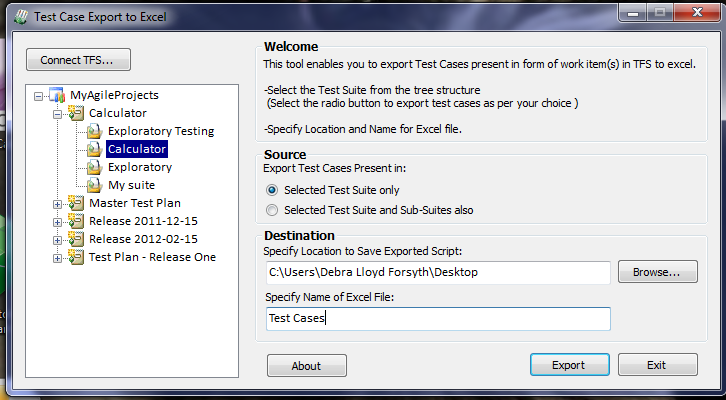 You can have multiple test configurations set to be the default. Which means all test cases are assigned these default configurations. When I click on a Test Case then the icon Configurations I can override the default and remove one or both configurations from the selected test case. You can select all your test cases in a test suite (using the std Microsoft selection hotkey) and then click Configurations to update a bunch at once. If you do not click All configurations you will not see the newly added configuration(s). It’s a trick I know why not just show them all. Hey, were tester’s we should be enjoying the challenge! 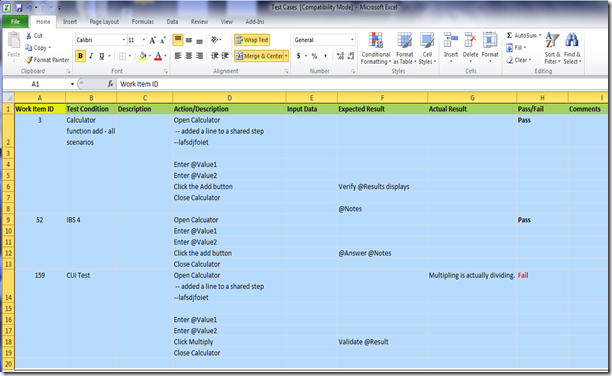 Test Configurations have to be set to active and selected in the Test Plan properties. 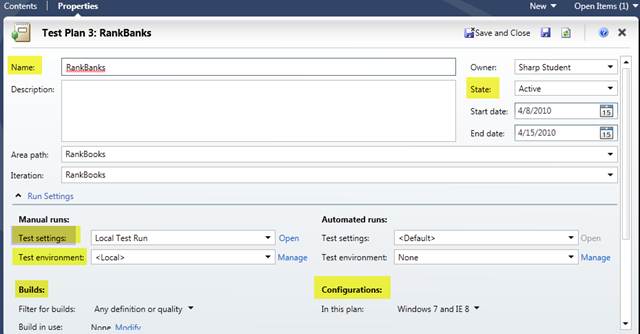 Test Configurations set up prior to creating test cases are automatically duplicated for each configuration assigned to the test plan. Note: you have no ability to indicate which configurations affect which test cases. Therefore you will have to use the test case run status of “blocked”. If you leave “active” a tester would be able to run. Adding a new test configurations to an existing Test Plan will not affect any existing Test Suites. ( I believe this is a bug and have reported it to Microsoft) However, if I add a new test suite and associate existing or new test cases to that suite all the Test Plan test configurations are used. When I get an answer on whether this the correct behaviour or if there is a work around will post it. Microsoft Test Manager 2010 is now available, thank you Microsoft. 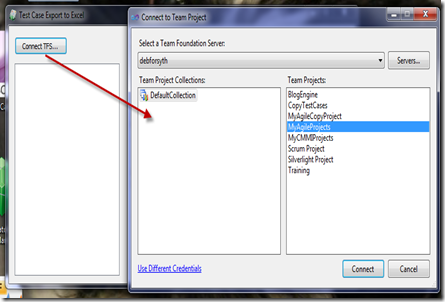 MTM like Visual Studio connects to Team Foundation Server where all artefacts are stored. Like the bug, test cases are work items. What else does MTM have, lots. Lets look at the concept of a test plan first. You can have one test plan to many for a project. It is totally up to you the test team how you set up your testing effort on a project. Properties: test environment, settings, configurations, assigned build, and details like state. Test Suites: organize test cases. 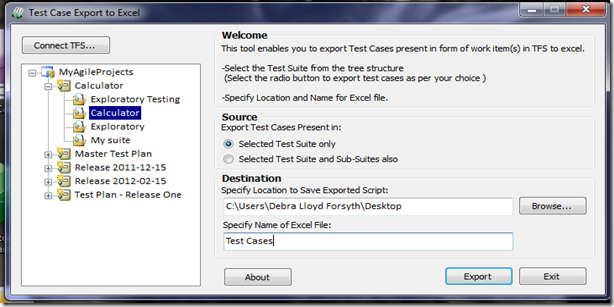 There are three types of test suites; one is based on a requirement, another is a query of work item fields and the third is static. The possibilities are endless. Microsoft has taken the test plan document to the next level. You can update a test plan as test efforts change. You can copy it as a starting point for the next project. You can if needed extract the information into a word document using an add on tool. If your printing for management or auditor put it on the network and direct people to it – save the tree’s. Plus, I bet most people do not even read them.